What does New York City have to offer? The last two days in New York City have been so amazing. This city is just full of life, lights and beauty. I have fallen completely in love. Some of the countries I have travelled to before have been “enough” for me. I was satisfied and knew I may not return. But New York has left the opposite effect on me, I have taken a bite out of this apple and I crave so much more! Let’s start with day one. We met our New York Pass sponsors in Manhattan and collected our cards. Our first stop was Madame Tussauds. The lifelike wax sculptors completely blew my mind. From Kim Kardashian to Albert Einstein (not that you can put them on the same level), Madame Tussauds had it all. Second stop on day 2 was the Discovery Avengers exhibit. Marvel’s AVENGERS S.T.A.T.I.O.N. The Exhibition (Scientific Training and Tactical Intelligence Operative Network) is a completely immersive experience that brings visitors into the world of The AVENGERS. Visitors are granted S.H.I.E.L.D. access to the official S.T.A.T.I.O.N. headquarters and taken deep into the Marvel Cinematic Universe. Here visitors will have open access to a vast array of intelligence files, classified studies and experiments that explores the history and scientific origins of Marvel’s The Avengers. Visitors will also be given unprecedented access to some of S.H.I.E.L.D.’s most highly guarded artifacts such as Captain America’s Birth Pod, the Tesseract Portal Device, Loki’s Scepter, a hermetically sealed Chitauri and more, recovered after the Battle of New York. Need I say anymore? Third stop was Rockefeller Center. We did so much here including the Top of the Rock observation deck. All of these activities were made possible with the New York Pass. The pass grants you access to over 80 New York attractions and their fast track services allows you skip the long lines and head straight to the VIP line. We were so lucky to be seeing New York through this pass. If you ever visit New York City then you will be doing yourself the biggest favour by getting a New York Pass. It will literally save you thousands of $$$! The Rockefeller centre is also home to NBC studios. This means all our favourite talk shows take place here. 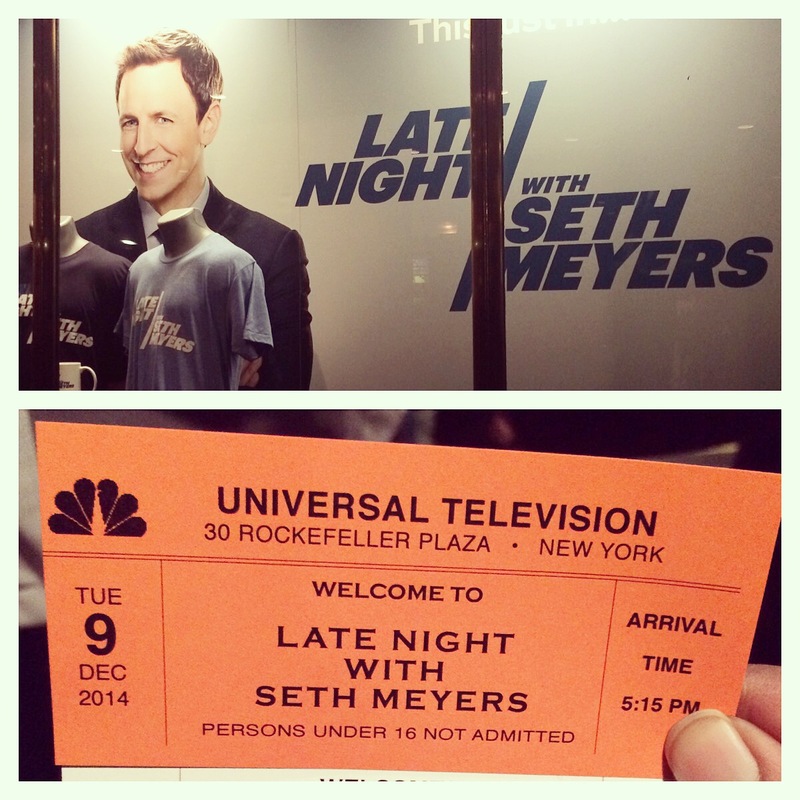 We were incredibly lucky to get tickets to Late Night with Seth Meyers and was part of the live studio audience. The guest stars at the show was Rosario Dawson, Eugenio Derbez and Sturgill Simpson. It was surreal! I still cannot believe that it happened. Make sure you watch the full episode here. New York is buzzing with Christmas spirit and Festive Cheer. Everyone is so friendly and they really know how to take customer service to another level. The remainder of the evening was spent outside the big tree watching the music show at Saks Fifth Avenue. The beauty of this city is visible everywhere; in its architecture, the food, the people and in the air. Stayed tuned for more details on Day 2 in the Big Apple.